Once eclipsed by PhD programs, social work practice doctoral programs (commonly called DSW programs) are gaining momentum throughout the United States. Designed for social workers interested in advancing their practice skills in social work practice areas who have at least a few years of field experience, these degrees allow professionals to build upon their knowledge base and become even more well-rounded clinicians, leaders, and academics. Currently, schools with already established programs are working with the Council on Social Work Education (CSWE) to develop the accreditation standards and process to launch in fall of 2019, and additional schools throughout the country are looking to add DSW programs. But as the degree increases in popularity and awareness, questions and concerns have begun to circulate about what the increasing presence of DSWs could mean for the field. The term terminal degree is one that has become fraught with emotion, as professionals and leaders question what the consequences of labeling the DSW as such will be. The answer to that depends on how you define terminal degree. For some, there is no question that the DSW is the terminal degree. “By de facto, if it is an advance practice degree and you can’t have a degree above it, it is the terminal degree,” says David Patterson, PhD, director of the clinical doctorate program and Cooper-Herron endowed professor in mental health research and practice at the College of Social Work at the University of Tennessee, Knoxville. For Patterson and others of like mind, acknowledging the DSW as the terminal degree does not affect the way social workers are educated or how they practice. It simply notes that there is a practice-focused degree above the Master of Social Work (MSW). And once earned, there is no further degree. “It is by default the last degree,” Patterson affirms. With this mindset, potential changes to the field are minimal. It is possible, Patterson says, that at some point licensing boards may want to consider a license for DSW level practitioners but that this wouldn’t invalidate master’s level licensure. Additionally, students would be expected to meet the same qualifications for acceptance as they do now. “We need to hold the expectation that this is an advance practice degree,” Patterson says. At the University of Tennessee, DSW students have an average of 12 years of clinical experience and nine years as licensed clinical social workers (LCSWs). Patterson adds that some students are admitted with as little as three years’ experience. However, the program does not allow for students to go straight from MSW to DSW. The concern surrounding the terminal degree, however, lies with a different definition. In many fields, the terminal degree signifies the point at which a practitioner may deliver services. Those with degrees below the terminal degree are unable to practice (though exceptions do exist). The look toward the doctorate as the terminal degree, in this sense, is not unique to the social work field. Many other service professionals from nurses to occupational therapists are debating the merits of such a move. Understanding the motivation behind their debates and/or decisions helps shed light on the DSW discussion. The physical therapy field is one profession that has elevated its terminal degree. “As of January 1, 2016, the DPT [Doctor of Physical Therapy] became the required degree for all entry-level physical therapist education programs,” says Anne Reicherter, PT, DPT, PhD, director of academic and clinical affairs for the American Physical Therapy Association. That being said, having a doctorate as the point of entry may help the public’s understanding. “Graduates believe that the DPT degree enhances the public’s recognition of the profession’s knowledge base,” Reicherter says. Additionally, the thought is that the complexity of clients’ needs today requires a greater understanding of how to treat an individual—an understanding that may only come with doctorate level education. But such explanations don’t limit the rumors and opinions. Therefore, it is worthwhile to consider the concerns that surround the discussion. For one, what is the remuneration for DSWs? “Invariably, I hear from our graduates who are either getting promoted while in their program or when they come out. We have people moving into clinical track and tenure track positions. No one has come back to me and said, ‘This has ruined my career,’” Patterson says. 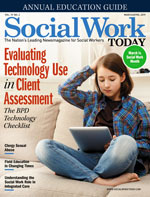 Erica Goldblatt Hyatt, DSW, LCSW, MBE, assistant director of the doctorate of social work at Rutgers: The State University of New Jersey, agrees that the DSW has enabled students to advance in their career. “Using our program as an example, becoming an expert in a specialized area of social work, publishing in peer-reviewed journals, and presenting at national and international conferences, all of which are skills learned in our program, could lead to career advancement and/or a wider array of career opportunities,” she says. “Nevertheless,” she says, “this is not necessarily justification for the DSW becoming the terminal degree.” And financially, there are not sufficient data to confirm or deny that the DSW will “pay off” and how long that will take. Nor is it known whether reimbursements would elevate should the doctorate become a point of service entry. It is known, however, that the DPT has not seen this occur for physical therapists. “The elevation of PT education from the master’s degree being the required degree to the DPT degree has not had any impact on payment,” Reicherter says. Another concern is how the move could affect education. “Currently, the CSWE is finalizing accreditation requirements for DSW programs,” Goldblatt Hyatt says. “However, these standards will allow DSW programs to maintain their curricular and pedagogical uniqueness, so they will remain diverse and not appear uniform or to follow competencies in the way the MSW has. “If the DSW became the terminal degree, the CSWE would have to rethink their current accreditation standards,” she concludes. There would also be a question of who could train up-and-coming DSW students. Making the DSW the point of service entry would vastly increase the number of students entering DSW programs, which in turn would require an increased number of qualified professors and field instructors. “The reality is that while DSW programs are growing and there are more and more schools saying they are going to start them, for the DSW to be the terminal degree to teach all MSW students is a long way off. There’s not enough. There’s not enough PhDs to teach MSW students,” Patterson says. Finally, what would the move mean for BSW and MSW practitioners? To start, it is worth noting that some fields that change their terminal degree/point of service entry do not require already practicing professionals to elevate their degree. “If you graduated at the time that the bachelor’s was standard, you can still practice,” says Keramidas of occupational therapy. The answers to all of these questions remain unclear. For now, the DSW is the terminal practice degree solely in the sense that it is the highest practice doctorate degree available to social workers. Whether it becomes the point of service entry remains to be seen. It is clear that there would be pushback, as there has been in other fields.